Transforming a parish is challenging, demanding, and sometimes messy work. 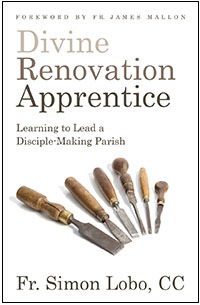 In Divine Renovation Apprentice, Fr. Simon Lobo breaks open his experience as an associate pastor working on the renewal of St. Benedict Parish in Halifax, Nova Scotia.